come. Third in food exports comes Germany, while in fourth and fifth place are Spain and Portugal, respectively, which import mostly fish from the islands. 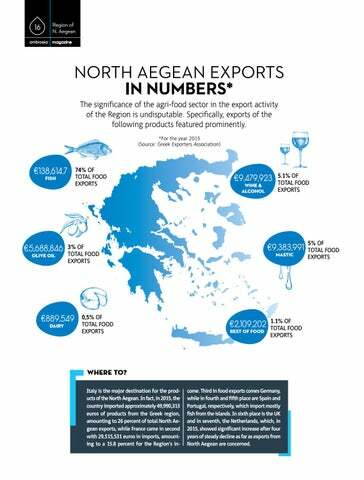 In sixth place is the UK and in seventh, the Netherlands, which, in 2015, showed significant increase after four years of steady decline as far as exports from North Aegean are concerned.